Yesterday someone left a deli tray of several dozen cookies by the coffee station on our floor. Within a few minutes the first cookie locusts had descended, the office grapevine communications network had sent out word far and wide that cookies were on the fifth floor, and after an hour or so all but one cookie was gone. But that one cookie was a holdout. It sat, alone, on the black plastic tray for hours. It made it past lunchtime and endured well into the afternoon. Finally, as the end of the workday neared, some ravenous soul who could bear it no longer gobbled it down, and the last cookie vanished from our sight. 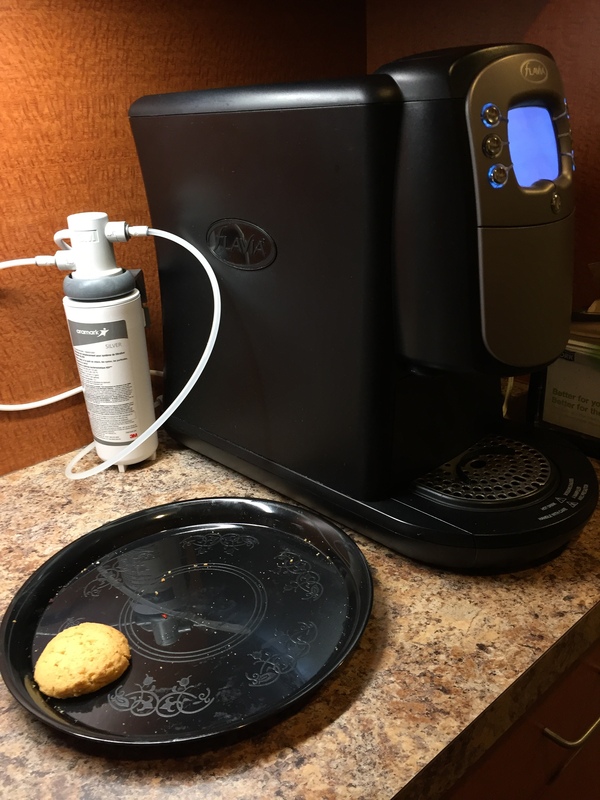 There’s a curious code of honor that prevails when cookies, brownies, or other baked goods or sweets are left near an office coffee station. When the plate of goodies is full, workers have no hesitation about taking one, or two, or even three of the items — hopefully, without anyone else seeing that they are doing so. But when the plate gets down to the last cookie, a different rule prevails. There is tremendous hesitation about taking the last cookie and leaving an empty plate behind. Perhaps it is the pain of a possible guilty conscience, or a feeling of goodwill toward co-workers who might not have had a cookie already and might want one in the future. But the last cookie code acts to restrain the final act of gluttony. In some cases, people who can’t resist will actually break the last cookie in half, or into quarters, and only take a piece so that there is at least some fraction still on the plate. By leaving the remains of a broken cookie, their conscience is clear. The code of the last cookie is strongest early in the day, when it first becomes apparent that there is only one cookie left. As the workday wears on, rationalizations erode the force of the last cookie code. After all, it’s 3 p.m., and nobody else has taken it. If someone had wanted it, they would have eaten it by now. It would be unfortunate to let perfectly good food go to waste, too. And why should the cleaning crew get stuck with more work? So the last cookie gets taken, the plastic deli tray gets quickly pitched, and the coffee station counter is once again clean. Although the last cookie code has had its impact, the last cookie is now gone, and all’s right with the world.